Well as if you weren't already smitten with Carolyn's shop, MATINE by these images, head on over to her shop to see some more of her lovelies such as the Scallop edge clutch, Polka Dot Tote, or the Avgvst Business Card Holder. I heart them all! 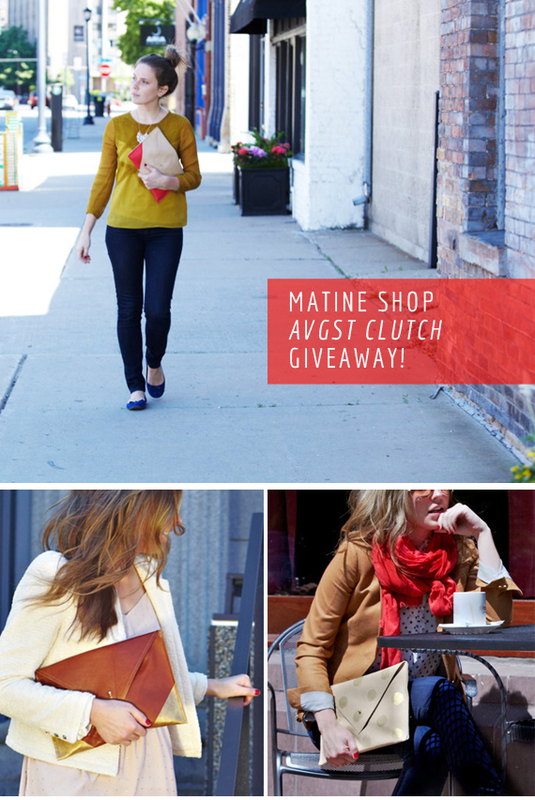 I am happy to inform you that Matine Shop is giving away the Avgvst Clutch to one lucky reader in either the Poppy, Polka Dot, or Gold! Your choice! So easy to enter Just like the Matine Facebook page! Additional entries are optional! Please enter through the Rafflecopter widget below. Best of luck!! Love the neutral/red one, so cute! Such beautiful clutches! Thanks for the giveaway! Yay! It was so much fun entering and I love all of Carolyn's beautiful things! Love the cognac leather & gold Avgvst clutch! So cute! I l-o-v-e that clutch with the pink corners. Beautiful! What a great giveaway! 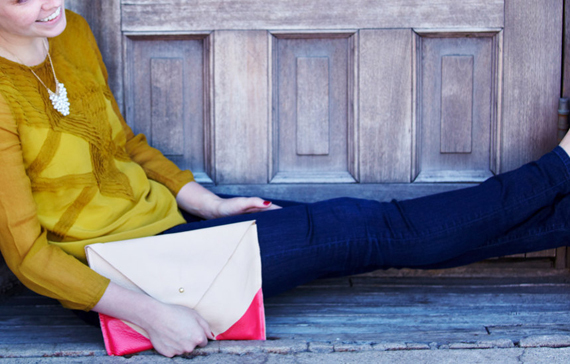 I've had my eye on the polka dotted clutch!